Peter received his AB from Harvard College, PhD from Trinity College, Cambridge University U.K., under the supervision of Hugh Pelham and trained as a postdoctoral fellow at the University of California, San Francisco with Harold Varmus and Andrew Murray. Prior to coming to HMS Peter served as a Professor of Biology and Biological Engineering at MIT. Peter’s research focuses on the systems biology of signal transduction networks controlling cell proliferation and death, the dysregulation of these networks in cancer and inflammatory diseases and the mechanisms of action of therapeutic drugs targeting signaling proteins. 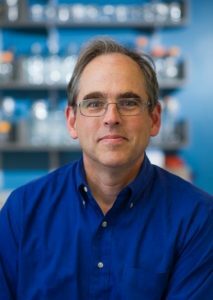 His group uses mathematical and experimental approaches to construct and test computational models of signaling in human and murine cells as a means to understand and eventually predict the responses of cells and tumors to drugs applied individually and in combination. The Sorger group also develops open-source software for analyzing biological networks and it participates in multiple collaborative programs working to improve data reproducibility. As founding head of the Harvard Program in Therapeutic Sciences (HiTS), Peter leads a university-wide effort to advance the basic and translational science used to develop new medicines, identify responsive patients and evaluate new drugs via precision clinical trials. He also directs the primary research program in HiTS, the Laboratory of Systems Pharmacology, which joins together faculty members from six institutions in a multi-disciplinary effort to develop and apply new concepts in drug discovery. Peter was co-founder of Merrimack Pharmaceuticals and Glencoe Software and is an adviser to multiple public and private companies and research institutes in the US, Europe and Japan.